Camberley Glass and Windows is one of the most trusted professional glass and glazing companies working in Berkshire. We specialise in high quality bespoke glass and use only the best quality glass for all our glazing from small domestic repairs to large commercial reglazing. Our company began as a group of family run businesses in 1965 and now, as a single company, we have nearly 50 years experience in the glass and glazing industry. We supply new and replacement doors, windows, double glazing, conservatories, orangeries, skylights and lantern lights, shopfronts and rooflines as well as bespoke glass for home interiors such as shower enclosures, splashbacks and balustrades. 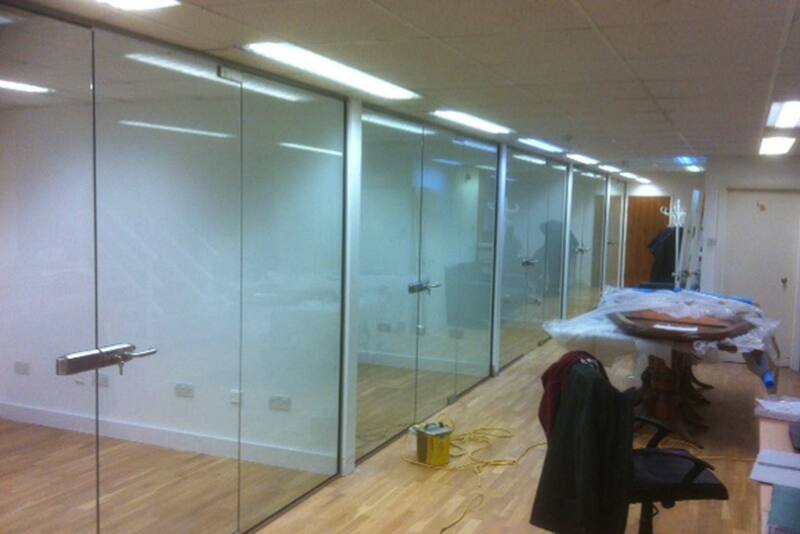 We supply and install a wide variety of doors tailored to your requirements and manufactured to the highest standards. Our doors include front doors, back doors, bifold doors, French doors, sliding doors and others in a variety of styles and door furniture choices. These doors come in a choice of materials including aluminium, composite and UPVC. We are also happy to work to your own design to produce the door you desire. We are proud of our reputation as a market leader in the field of quality bespoke windows, and have been supplying and installing windows in Berkshire for nearly 50 years. We provide numerous different styles of window such as casement, sash and bay windows in a range of materials including timber, timber alternative PVCu and aluminium. We also excel in providing double glazing and double glazing replacement windows. Our lantern lights and skylights are made of aluminium which means that, although it is an extra strong frame, the glazing rafters are thinner than other similar products giving fine sight lines and pleasing aesthetics. Our products are designed to give the highest thermal performance as well as allowing more light into your home, conservatory or orangery. We specialise in bespoke quality products, items that you cannot buy off the shelf. So If you are searching for a balustrade for your balcony or terrace, a new glass worktop or splashback for your kitchen or shower screen or shower enclosure for your bathroom, just contact us and we can make whatever you need to the highest quality available. Why choose Camberley Glass and Windows? Camberley Glass and Windows is one of the most trusted and professional glass companies in Berkshire. We pride ourselves on our product knowledge, and we are fully conversant with all aspects of current requirements and regulations. We strive to be the market leader in providing the best possible service and after sales care. We jealously guard our high reputation and you can read what our customers think on our testimonials page. Indeed much of our business comes from personal recommendation. We also work with many large companies as well as taking school, hospital and council commissions. Our staff comprises advisers rather than sale commission personnel, and our team is fully qualified and FENSA registered. Do not hesitate to call as all incoming calls will be answered 24 hours a day.